We already know why you came to our guide. Would you like to find out how to merge a Fortnite account? We at Teknologya have decided to create a guide where we show you all the steps to do it using a simple browser. To carry out the entire procedure in the best way it is necessary to choose two accounts in your possession, namely the primary one that you intend to keep and the secondary one that will be combined with the first one and automatically deactivated. Furthermore, after two weeks, all V-buck and aesthetic objects collected in Fortnite through the second account will be moved to the first one. Unfortunately, it is necessary to take into consideration limitations and to know some important information about the union of two accounts of the popular game made by Epic Games. First of all, in order to carry out the operation, an account must have been used on Xbox One or Nintendo Switch while the other on PlayStation 4 before September 28, 2018. In addition to this, your account must not be banned or deactivated. As previously stated, the objects and V-buck will be kept for two weeks and then automatically combined with those collected with the primary account. From your computer, connect to the home page of the social network and log in to your account by entering the required credentials. Once this is done, use the home page to press the down arrow at the top right and choose Settings from the menu that appears. At this point, through the left sidebar, press on Apps and websites and, through the Apps section and active websites, locate Fortnite and check the box. Confirm removal by clicking on Remove. Alternatively, you can completely disable access to all the applications, websites and games you logged in with via Facebook by clicking on the Edit button in the Apps, Web sites and games box (in the Preferences section ) and choosing Disable from the window of notice displayed. If you had used your account Google, you’ll need to log on to the page of Google Account, press on Security from the left sidebar and then click on Manage Access third party apps found in pits third-party App with account access. On the next screen, locate Fortnite, press on its name and then click on the Remove access button. Continuing with the important information to know, in Battle Royale you can transfer and combine all the aesthetic objects while in Save the World you will be able to transfer and combine llamas, defenders, heroes, projects, survivors, materials for evolution and for advantages and PE. Unfortunately, other objects (eg the status of Support a creator, the Unreal marketplace objects, Creative mode islands and Save world account progress and levels) will not be transferred from the secondary account to the primary account. 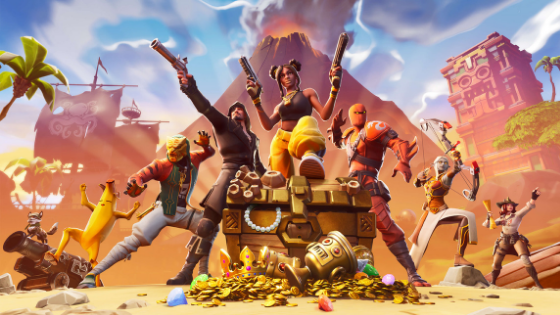 At this point you are ready to connect the console to access and join objects esthetic and V-buck of Fortnite from one account to another in a simple way. All you have to do is open the default browser on your computer, connect to the dedicated Web page of the Epic Games website and press the Start button. In the Primary account box, log in by selecting your preferred platform from PlayStation, Xbox, Switch, PC/Mac or Mobile. After this, through the window that appears, follow the instructions provided to proceed with the access. At this point, return to the previous window and select the relevant platform in the Account to merge box (ie the secondary one). Having correctly logged in to the second account, you can see a preview of the union by pressing the Preview Union button below. Now, to complete the operation, just follow the last steps indicated on the same page.